Back in In December of 1851 Texas Patriot Edward Burleson died at the home of a friend in Austin, Texas. The next day a committee made up of members of the Texas House of Representatives met to plan his funeral. House member Andrew Jackson Hamilton, who was impressed with Burleson and his career, provided his personal property in East Austin as a state burial ground. The state took over the property in 1854. For several years Burleson was the only individual buried on the grounds. Abner S. Lipscomb, Associate Justice of the Texas Supreme Court, was buried in 1856. From 1856 to 1866 there were a number of burials that included some of Texas' most widely known leaders, Civil War generals, and other soldiers from Texas' fight for independence and the Civil War. 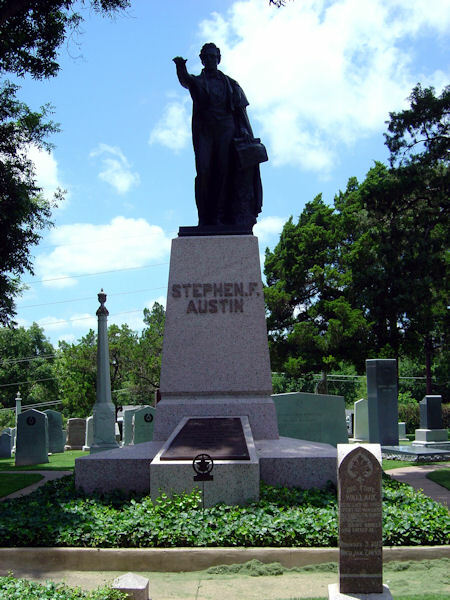 In the early 1900's an ambitious efforts to re-inter many Texas Heroes and Patriots to the cemetery starting with Stephen F. Austin and others. A notable exception is Sam Houston, buried in Huntsville, Texas and his wife Margaret Lea, buried in Independence, Texas literally next to a farm market road. In 1996, Lieutenant Governor Bob Bullock attended the funeral of former U. S. Representative Barbara Jordan. He noted that while the cemetery was still being used regularly that it had become run down. He organized a full scale renovation and restoration project. The project included the construction of a visitor's center and gallery, pond, columbarium wall, and a memorial plaza. All Confederate headstones were taken down and cleaned and were replaced if damaged. Trees, shrubbery, flowers, and grass were planted for the beautification phase of the project. In March of 1997, a rededication ceremony was held with Governor George W. Bush, Lieutenant Governor Bullock, Speaker of the House Pete Laney, and other distinguished guests in attendance. 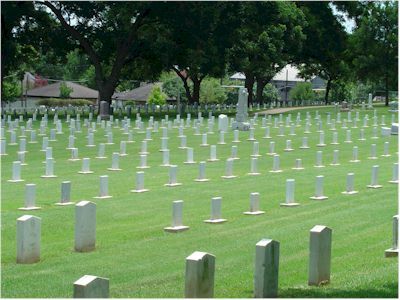 The Texas State Cemetery is a great and historic place to visit. Here is a small example of the "Texans" buried here. The Texas State Cemetery has a great web page. Be sure and visit it.